Subtle but significant adjustments make the perfect blend. 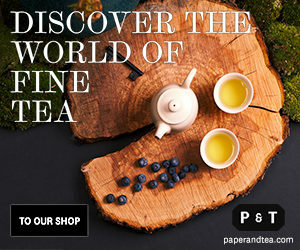 Most people are familiar with the many black tea blends on the market but may not have much sense of the nuances of bringing together a complex set of flavors and of the wide varieties of choices that differentiate similar sounding teas. What, for instance, is the foundation of the tea blends we hear so much about: well-known names such as Builder’s Tea, TAZO Awake, or Twinings English Strong Breakfast? 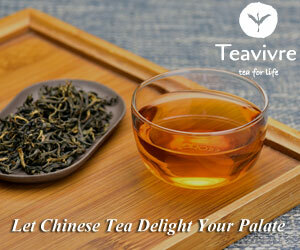 They all start with a base of a strong, full-flavored, malty Assam tea. Then they diverge. 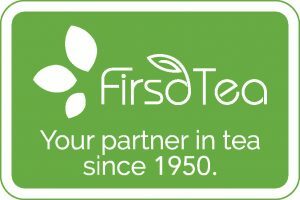 The next tea that goes into each blend depends on differentiating the tea brand’s offer to its customers through its specific flavor profile. They come to expect a consistency in the quality and taste of “their” tea and choose one Assam-based English Breakfast over another for its extra smoothness, perhaps, richer aroma, or long-lingering aftertaste—a little more of this, a little less of that. The art of the blender is to get the “littles” just right. Here’s how this is applied to an Assam-based blend. It starts with an irony. 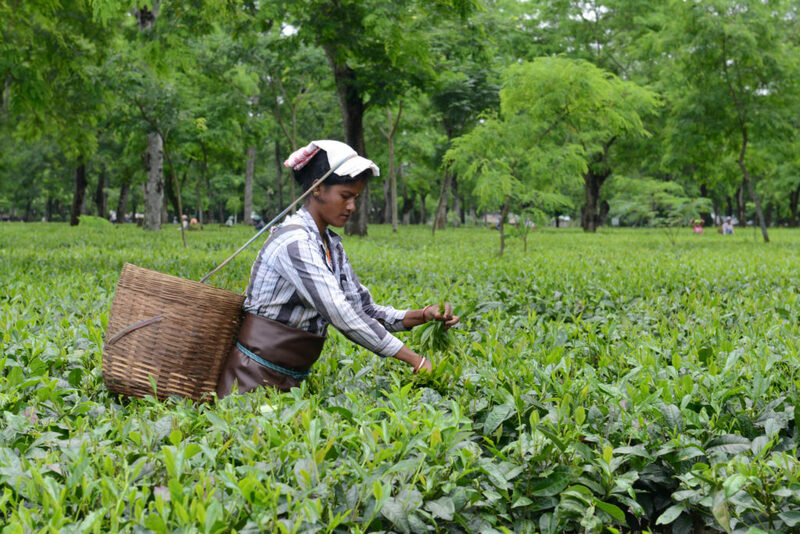 To make a terrific Assam blend, you don’t start with a terrific Assam estate tea. Those can be stunning. In all my years of traveling to Assam, each morning was a delight, with the light knock on the door and a pot of the estate’s freshly manufactured tea delivered to my bedside. Currently, my first morning cup is from Rossell’s Dikom tea estate, an Assam tea I truly treasure. I drink the STGFOP1 grade (wryly claimed to stand for Still Too Good For Ordinary People), an infusion that will challenge any cup of coffee. I drink this and other excellent Assams with pleasure. But I don’t buy them for blending. The explanation is the flavor profile. 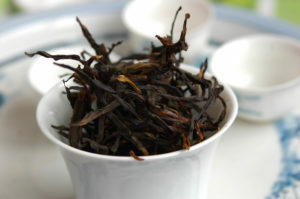 A branded blend must be consistent and maintain the balance among the ingredients, which for a black breakfast tea—English Breakfast, Scottish, Irish, Farmhouse, Morning, Safari—may include in its “a little of this and that” leaf from Sri Lanka (Ceylon), Kenya, Darjeeling, China Keemun, Malawi, and dozens of other regions. While drinking single estate teas is a wonderful experience, the practicality is that the tea flavor will vary from day to day. The area from where the tea was plucked, the weather that day, and even the people working will determine the flavor of a production batch, termed an “invoice.” During Assam’s second flush (the summer harvest), I would be tasting hundreds of cups of Assam invoices that represented the tea production from local estates, all produced within the past week. There were days when I was only buying 10% of the tea invoices because they did not meet my required flavor profile. 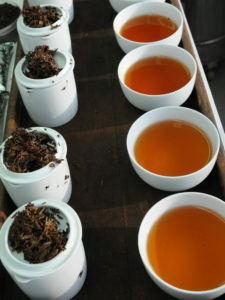 A single estate’s tea flavor varies from day to day. A cold night, early morning mist, bushes plucked from a different field, or the age of the bush can subtly change the complex chemical structures of the finished leaf. Imagine then the variation that can unexpectedly appear in the same tea from neighboring gardens or northern Assam versus southern Assam estates. Tea blending builds a specific flavor around the variance of tea production but, most importantly, builds a complex tea based on a blend of various estates, dates of production, origins, and even including a spice or botanical in the recipe. Really low-end commodity blends finesse this challenge by selecting leaf from large-scale farms that is machine harvested and processed to provide a plain and basic ingredient, and the taste can be boosted by additives or flavorings. Cost control is a priority rather than quality. This is standardized, formulaic blending that meets many market needs. But it’s not what I term “authentic” tea blending. That is more a crafting of the character of a branded blend—one that announces its identity and value for money. Authentic blends begin with understanding and building upon the nuances of the teas used, with an eye always looking at the goal post of the final flavor. Getting back to the black tea blends mentioned at the beginning of this article, Assam is their shared strong, malty, and astringent tea foundation. The next building blocks even out the flavor with perhaps a bright, aromatic Sri Lankan or Kenyan tea. The alchemy that happens when different tea origins interact means that the sum of the blend in this case is greater than the parts. And the test of a true tea blender would be to add a third tea for a more complex tea blend flavor without it becoming muddled. The opportunity is to selectively fine tune the mix and focus the flavor combination. By adding just a few percent of Darjeeling tea to your Assam and Sri Lanka blend, you can introduce another flavor layer and complexity. I’ve put this blend together a number of times and once decided to leave out the small amount of Darjeeling. That was a mistake. The seemingly small reduction took away nuances. Very often, an individual extra ingredient expands and augments the features of the foundation base. Twining English Strong Breakfast adds Kenyan east of the Great Rift Valley tea to define its distinctive blend. The experimentation is endless until you have the nuances of that perfect tea blend—just the right balance to make the profile of the tea special. Obviously, this is a process that benefits from blenders’ knowledge of their teas and suppliers, from discovery of some extra nuance to add to the mix, and often a readiness to experiment and try some new tweak and balancing. 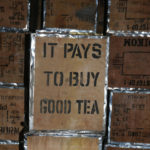 Authenticity of tea origins and flavors will always be a primary focus. Skilled blenders avoid the bland, flat and unsubtle recipe mix of some of the larger tea brands that stumble from becoming too highly dependent on natural flavors or botanicals and spices, rather than using the flavor of the tea. There is a place for herbs, citrus flavors and essences, and natural flavorings in tea blends but restraint in their use can go a long way in enhancing the authenticity of tea blends. 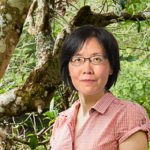 It is all about knowledge of tea production, tea flavor characteristics, and how flavors combine to complement and even surpass the individual components. This is how to create a terrific tea blend that is not dependent on a terrific and unpredictable estate tea. Good enough ingredients work together to make the whole very much more than just an averaging out of its parts. 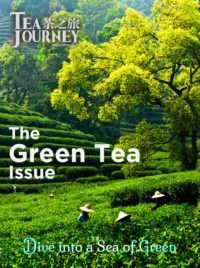 In later articles, Tea Journey will explore just how far this crafting can go to produce truly outstanding and original blends. Let the journey begin. So ….. what are your favorite black tea blends that you enjoy drinking? Really enjoyed this, Keith. I’m looking forward to the next installment. For favorite blend I would have to say Yorkshire Gold. To me it’s a super unique flavor profile in the mass blend space. Not sure if you have one, but if you do, what is your favorite blend you ever put together and why? Looking forward to reading your articles, Keith. My favorite tea blend? Mariage Frères’ Marco Polo.